Silicon Carbide Bricks, Silicon Nitride Bonded Sic Brick / SiC brick is made of high quality synthetically made silicon carbide grains (SiC) and selected bonding components, including nitride, Si3N4. SiC brick is particularly ideal for application in high temperature furnaces and in waste incineration plants. The Si3N4 SiC blocks are widely used as lining bricks of large aluminum electrolytic cell. Using nitride bonded silicon carbide products enlarges the tank capacity, improves the thermal conductivity, enables rapid cooling, and increases the tank production capacity at the same time. Alumina and cryolite of eutectic content can form on bricks' surface, which can protect the tank lining work layer, and prolong the tank's service life. Therefore, silicon nitride bonded silicon carbide bricks are widely used in the aluminum industry. 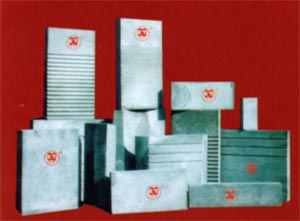 KT Refractories distributes Silicon Carbide Bricks of the best quality at the most competitive prices worldwide. 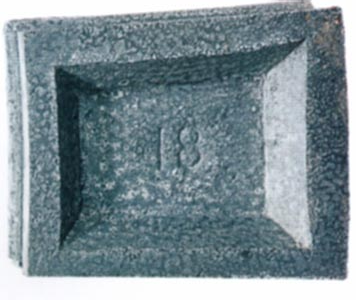 Call 1-877-365-2995 to order Silicon Carbide Bricks, and our fast, responsive customer service and reliable delivery service will save you time and money!